Every week, a DIY expert spares us a trip to the grocery store and shows us how to make small batches of great foods at home. In this edition of Small Batch, Marisa McClellan of Food In Jars helps us stock our pantry with some of her favorite nut butters. Marisa is the author of Food in Jars: Preserving in Small Batches Year Round. Several years ago, I found myself obsessed with nut butters. I was always on the lookout for new flavors and nut combinations and was willing to pay truly obscene amounts of money for small jars of cinnamon vanilla sunflower butter or coconut peanut butter. Soon enough, I came to my senses (helped by a quick tally of how much I’d spent) and realized that all these little tubs contained were nuts, sweeteners and spices. Hoping that my 30-year-old food processor was up to the job, I got to work. The very first batch of maple roasted almond butter sealed the deal. 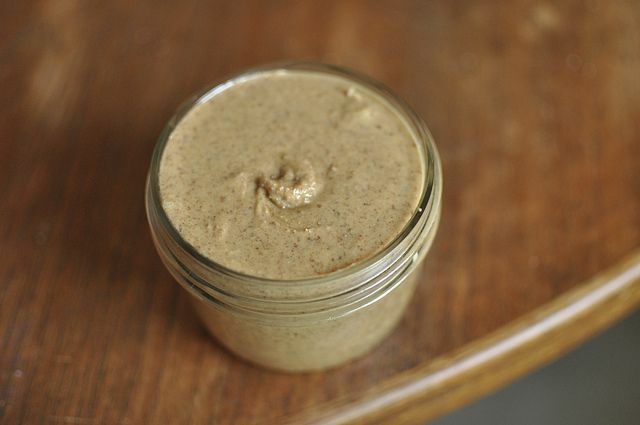 When it comes to fancy nut butters, homemade is most definitely the way to go. Always start with raw nuts and seeds and roast them at home. This step does add an extra 30 minutes of work (though it's mostly hands-off) before you can start pureeing, but the payoff is a great deal more flavor. I’ve also found that warm nuts and seeds are easier to grind than cold or room temperature ones. Keep volumes low. 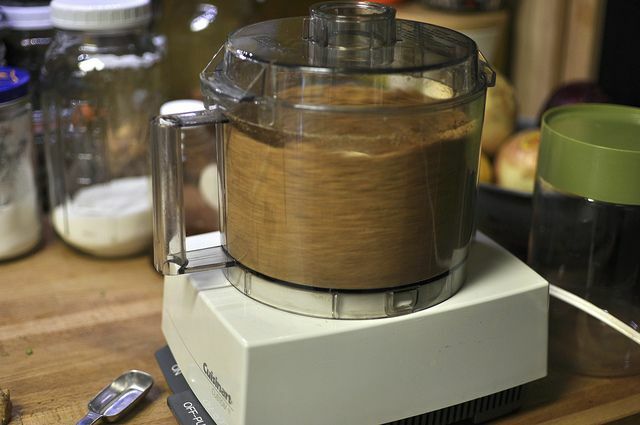 I have an 11-cup food processor, and it just can’t handle more than 2 cups of nuts or seeds. I learned the hard way: I tried to make a larger batch once, and the stress it put on my processor left the motor dangerously hot and ever so slightly smoky. Taste as you go. As with so many other cooking projects, it’s best to start with a small amount of spices or sweeteners and then add more as needed. Also make note of whether you’re working with salted or unsalted nuts, as that will affect how much salt you add during the grinding process. Don’t be afraid to add a little neutral oil. A tablespoon or two can really help get things moving and will get you to a finished texture more quickly. Choose your stirring implements with care. After perforating my favorite silicon spatula with the food processor blades, I now only use a flat wooden turner for stirring the nut butter. 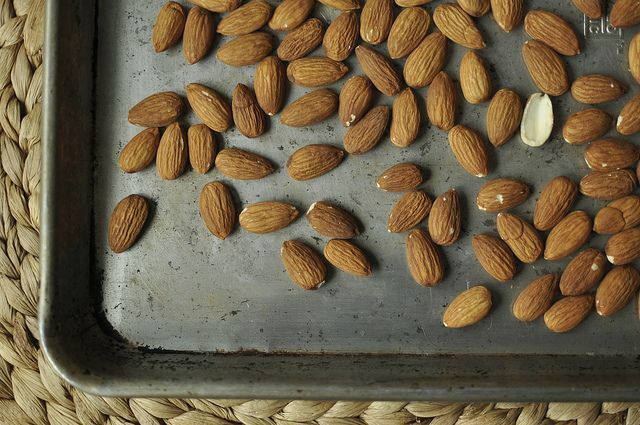 Spread 2 cups of raw almonds out on a rimmed cookie sheet. Roast in a 325°F oven for 15 to 20 minutes, until the almonds puff a bit and smell very fragrant. 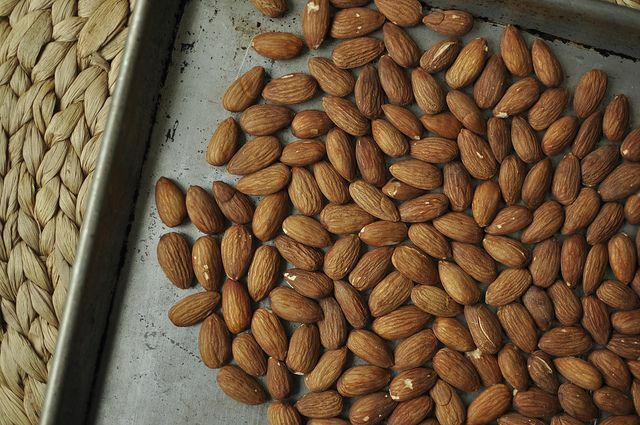 When the nuts are nicely browned, remove your pan from the oven and let the almonds cool for a few minutes. You want them to be warm, not piping hot. 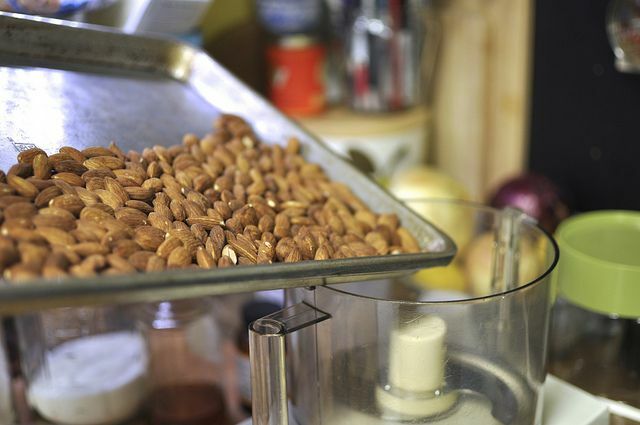 Once the almonds are cool enough to handle, tumble them into the bowl of a food processor. If the almonds are unsalted, add 1/2 teaspoon fine sea salt. Pulse 7 or 8 times, until you’ve got a fine almond meal. Add a tablespoon of nut or neutral oil (I have a bottle of walnut oil in my fridge and use that for all nut butter projects) and run the motor for 30 to 45 seconds. Stop, remove the lid and scrape the almonds down the sides and off the bottom of the processor bowl. Repeat the process of running the motor and scraping the bowl 4 or 5 times, until the almonds look drippy and spreadable. Add another tablespoon of oil if they look too dry. Taste and add more salt, if necessary. Scrape the spread into a pint jar (it won’t be quite full) and refrigerate. Be sure to use the almond butter within 3 to 4 weeks. Currently, my favorite variety of almond butter is a batch spiked with ginger and honey. For a 2-cup batch, I add one heaping teaspoon of freshly grated ginger and two tablespoons of honey to the almonds as they blend. It’s sweet and just barely spicy, and is a perfect match for a piece of sturdy whole wheat toast. In my experience, this technique works best with peanuts, almonds, cashews, sunflower seeds, hazelnuts, and sesame seeds. I haven't had as much luck with pecans and walnuts, though there are plenty of good butters made from them available, so there must be a way. Back to the food processor! Marisa will be answering questions about nut butters on the Hotline for those of you who want to take on this project at home. For the quickest response, go to her recipe and ask a question from there -- we'll email her your question right away! In next week's Small Batch, Bi-Rite Creamery founders Anne Walker and Kris Hoogerhyde help us welcome summer with ice cream sandwiches. Get your baking sheets ready, dig that ice cream maker out of storage and give it a good dusting! I'm a food writer and canning teacher. I write the blog Food in Jars. My first cookbook, also called Food in Jars, is now available. My second cookbook will be out in spring 2014. Does anyone have tips on how to do this with a vitamix? For crunchy peanut butter I have successfully removed about 1/4 of the roasted nuts and chopped them to an appropriate size. Then I blended the other 3/4 of the nuts to butter, and added back in the chopped peanuts. (I had previously read a recipe which encouraged you to remove the 1/4 at the nut meal stage from the food processor - but this just adds graininess to the butter, not crunch.) While my method worked well with peanuts, perhaps with almonds it might be better to use toasted blanched almonds for the crunch? I have only gone for crunchy with peanut butter so far. overtime i have made peanut butter it turns out "grainy". is there a way to make it smooth and not "grainy"
Blend it for longer. When it looks like it is the correct consistency, just blend it for a while longer - it starts to shine and look very liquid - but it will firm up a bit when it cools. I know some people say 6-7 minutes of blending time, but I have spent up to 15 on butters with roasted nuts, and way longer with raw (not even worth it, unless you use a higher fat nut, like macadamia). I always thought my processor was just rubbish and worn out, but I think this is generally advisable. All of the times i have made nut butters, I have never had to add oil. I generally use raw nuts and process them for 8-10 mins until smooth. It seems to take that long for the nuts to release their oil. I am in Colombia, so I am unsure that I can find nut oil. Can I use olive oil instead, or another oil? I make my own peanut butter. I hate store bought ones. I have to experiment with more nuts. 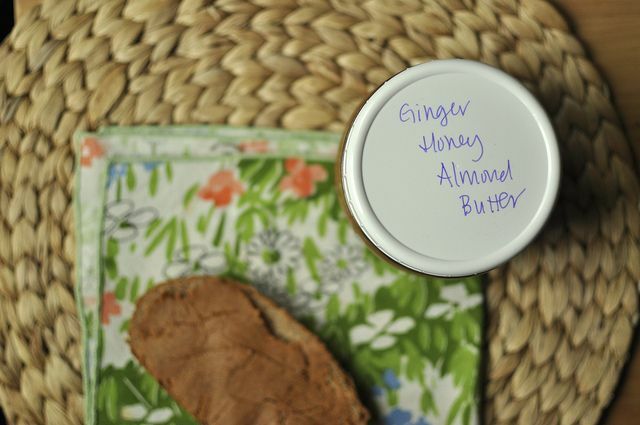 The ginger honey almond butter sounds incredible. Thanks for the great tips, Marisa. I have been making my own nut butters for over 3 years now. Recently friends have urged me to sell at local markets. How can you jar nut butters to sell at room temperature? I have been making cashew butter for the last few months, toasting the cashews first. It takes between 2-3 TBSP of oil, and comes together even more easily than the almond butter I make. Is it possible to do keep nut butter for longer if it's jared properly? Would it work to do the same preserve technique used for jams or would you advise something else? Honestly, I also had fear about old nut butter, but I forgot about a chocolate hazelnut butter I made for Easter and, while it had separated a bit (like any unstabilised nut butter eventually should), it was perfectly fine, even five months later. I followed the recipe exactly, ended up adding THREE tablespoons of walnut oil, and it's still too dry to be spreadable and nowhere near "drippy." It does have a fantastic flavor, but I don't want to keep adding so much oil that it's packed with too many calories and fat! Any ideas? My first batch of almond butter was a disaster. I kept adding oil hoping that would result in the drippy texture I wanted. I didn't get that so added maple syrup and it seized up even more. I kept my congealed first batch to one side. And returned to read the recipe instructions again, and extremely carefully this time. I noted that Marisa used only a tablespoon of oil in Step 4. I followed this. I also followed Steps 4 and 5 to the letter, unlike what I did in the failed batch one. I pulsed for 30 - 45 seconds, scraping the sides and bottom. By the 4th time of pulse and scrape, I had hit a home run, with ONLY a tablespoon of oil. By the 6th time, the butter was smooth and drippy and perfectly spreadable. I sent it all into a jar and tried to figure out how to rescue my congealed batch one. I put it all back in the food processor. I'd figured out that adding more oil wasn't it. Or maple syrup.....Purely because I stood by the sink, I reached for water and ta da.......the butter turned creamy and perfect. I just kept adding it by the spoonful till I got the consistency I wanted. And the taste was perfect. Now I don't know how long it will keep refrigerated but I don't know that I will keep it that long anyways. I hope this helps someone in future. Thanks Marisa for a great recipe - I now realise I need to REALLY read recipes well before I embark on a project! I just made a batch of almond milk at home for the first time since learning how to do it in culinary school, so this seems like the natural next step. Homemade is way better than store-bought. Thanks for posting this. Thanks for this! I'm going to try it out, as we love almond butter and honey almond butter. But what is the "flat wooden turner" that you use for stirring? do you mean a wooden spoon? Claire, I mean a wooden spatula. Anything that has a flat tip, as it will allow you to easily get into the corners of your food processor bowl.